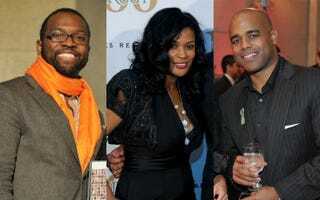 Members of The Root 100 for 2011 gathered in Washington, D.C., on Nov. 5, 2011, for The Root's gala held in their honor. Several attendees chatted with us about their favorite Thanksgiving and Christmas traditions and shared what they were most looking forward to this holiday season. "Rest" was a popular answer! Read more about The Root 100 and check out photos and additional video from The Root 100 bash.